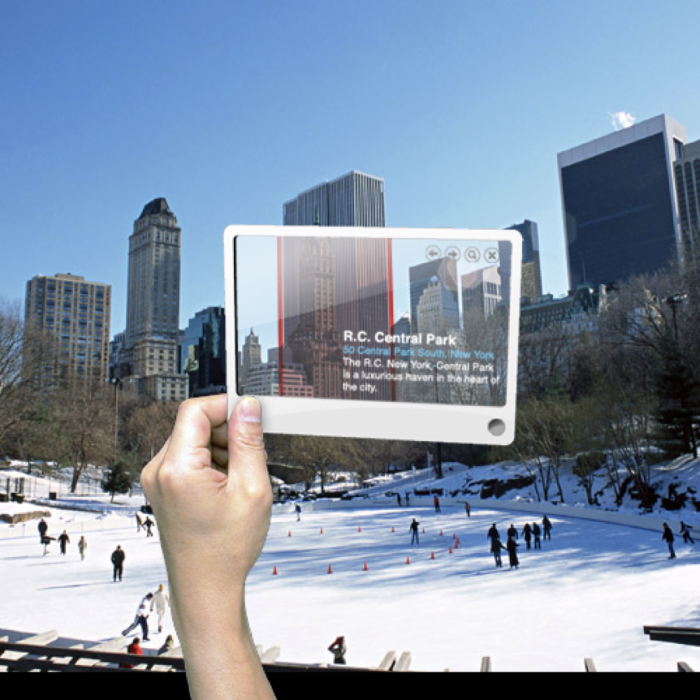 Transparent display technology fundamentally challenges the concept of the screen: it turns viewing first and foremost into using. Transparent media presents users with a complex ensemble of imaging techniques and visual information that is embedded into their action routines, viewing habits and working processes. It shifts the focus from the analysis of visual elements on screen to the iterative interplay of structures and processes in front of and behind the screen. The paper analyses the transformation of design and interaction principles in mixed reality. It suggest three elementary conditions to be taken into account when designing transparent media technology: a) the position of the screen, b) the point of view of the user and c) the augmentation of objects. Download Disrupting Screen-Based Interaction. Design Principles of Mixed Reality Displays via Academia. Citation: Moritz Queisner (2017) Disrupting Screen-Based Interaction. Design Principles of Mixed Reality Displays. In: Carsten Busch, Christian Kassung and Jürgen Sieck (ed.) Mixed Reality. Hülsbusch. S. 133-144. Based on case studies in minimally invasive surgery, the paper investigates how head-mounted displays (HMDs) transform action and perception in the operating theater. In particular, it discusses the methods and addresses the obstacles that are linked to the attempt to eliminate the divide between vision and visualization by augmenting the surgeon’s field of view with images. Firstly, it analyzes how HMDs change the way images are integrated into the surgical workflow by looking at the modalities of image production, transmission, and reception of HMDs. Secondly, it examines how HMDs change where and in which situations images are used by looking at screen architectures in minimally invasive surgery. Thirdly, it discusses the impact of HMD-based practice on action, perception, and decision-making, by examining how HMDs challenge the existing techniques and routines of surgical practice and, therefore, call for a new type of image and application-based expertise. Download Medical Screen Operations via Academia. 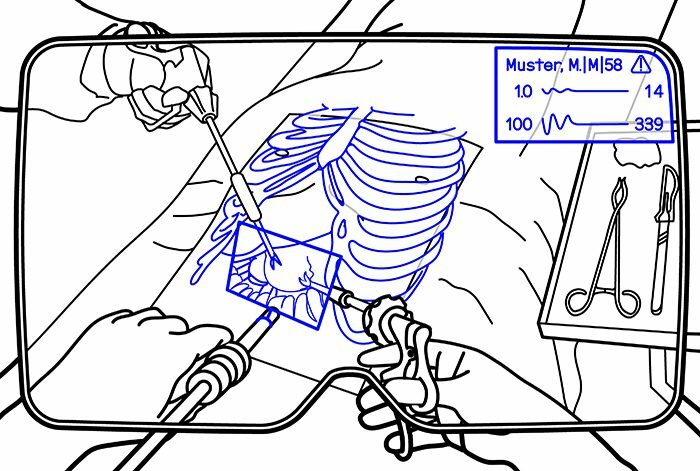 Citation: Moritz Queisner (2016) Medical Screen Operations: How Head-Mounted Displays Transform Action and Perception in Surgical Practice. In: Media Tropes, Vol 6, No 1 (2016): Conceptualizing Screen Practices: How Head-Mounted Displays Transform Action and Perception, 30–51.